When contemplating which of Thompson’s favorite breakfasts to attempt, I wasn’t about to go for Sandy Thompson’s “mayonnaise and peanut butter” concoction, and “some sort of a spinach thing” seemed a little … vague. Huevos rancheros seemed the natural choice, but it was sorely lacking in one of Thompson’s favorite ingredients: the half-pound side of bacon. This adaptation of the classic dish brings that meaty richness two ways, incorporating bacon into the sauce, while topping the eggs with a heap of extras including cotija, avocado, extra salsa and, yes, more bacon. It’s technically one dish, but comes a little closer to achieving Thompson’s purported breakfast of champions. Those seeking a more Thompson-esque experience can enjoy with a Bloody Mary, a bottle of gin or a hit of acid, around 3 in the afternoon. 1. Put oven rack in middle position and preheat oven to 200°F. Stack 4 ovenproof plates on oven rack to warm. 2. Heat a nonstick skillet over medium-high heat and add bacon (in batches if necessary). Cook 4 minutes on one side, then flip and cook another 4 minutes, or until crispy. Set on a plate lined with a paper towel. 3. Return skillet to heat and add 2 tortillas in a stack. Warm in the bacon fat 30 seconds, then flip stack and cook 30 seconds more. Wrap in foil and keep in warm oven. Repeat with remaining tortillas. 4. Purée tomatoes with their juice, onion, cilantro, chipotle, garlic, salt and half the bacon in a blender until very smooth. Carefully add mixture to hot skillet and simmer, stirring occasionally, until salsa is slightly thickened, about 10 minutes. Transfer to a bowl and rinse skillet. 5. Heat 1 tablespoon oil in skillet over medium-high heat until hot but not smoking. 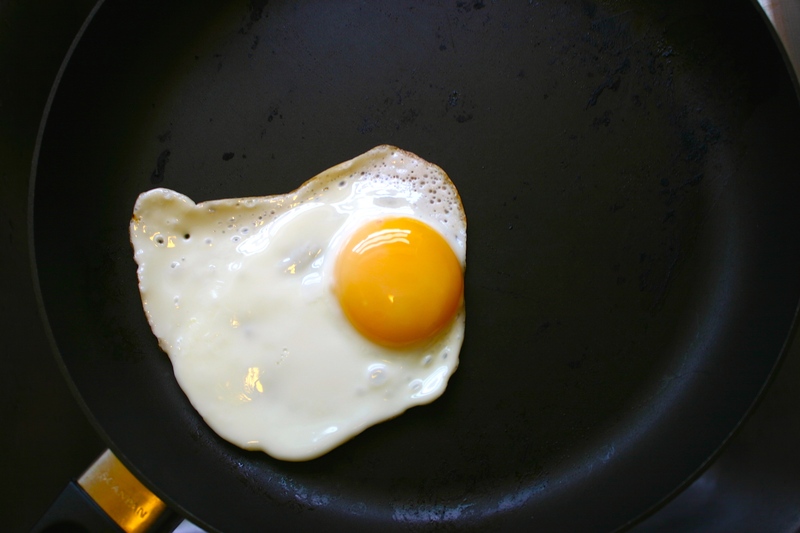 Crack eggs into skillet and cook to desired doneness. Season with salt and pepper. 6. Spoon salsa onto each plate and top with tortillas, eggs, remaining bacon, extra cilantro, extra salsa, sliced avocado and cotija cheese. Breakfast is probably my favourite meal of the day – but then I am a farmer’s daughter! It has got to include coffee – at least 1 espresso usually more. While I usually have seasonal fruit with locally made yogurt my favourite is a hot breakfast – creamy mushrooms, bacon and sourdough is up there. Sauteed veg on a hearty toast is pretty high on my breakfast list too – top it with an egg and I’m sold! wow man… it’s really sad and my heart breaks… but i see here a man handling a tough situation in God’s hands and with God’s support… and that’s really what matters… your an example bro… even in this you are an example to me… from Faith to Faith from Glory to Glory bro!!! God Bless You!!!! Thanks for pointing out the discrepancy between the myth and the man. 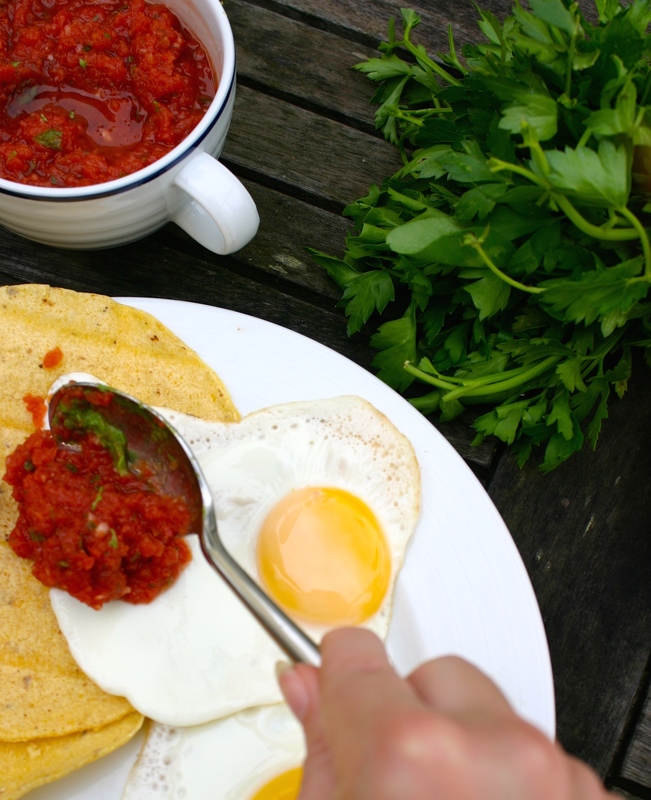 Huevos Rancheros still makes a lot of sense….multiple components, in between breakfast and lunch, the south of the border flavors. Fun post! 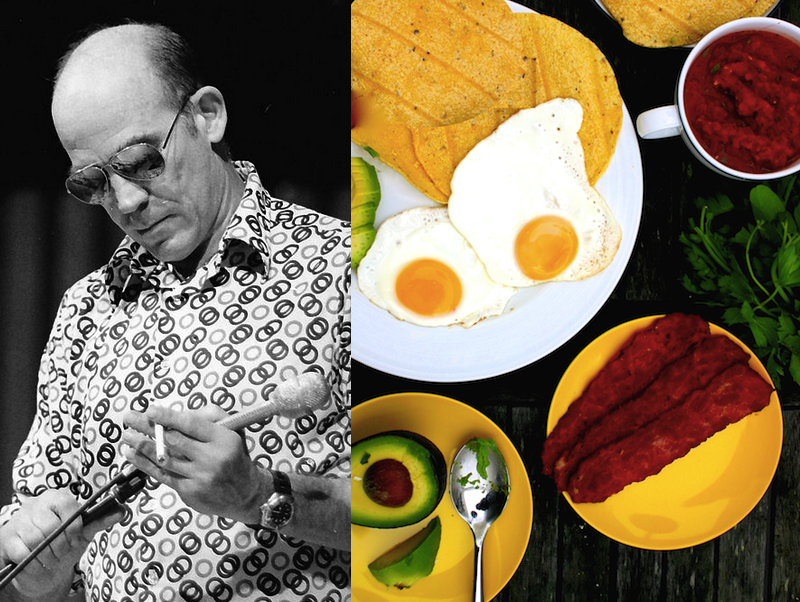 Breakfast with Hunter Thompson: He really did know how to live. Just discovered your blog – what a great concept! Looking forward to checking out some of your older posts. I always eat breakfast, usually a small one, but if I’m going big, it’s always savory. Thanks, Beth – welcome. I rarely eat breakfast … but then around 11 it’s lunchtime! 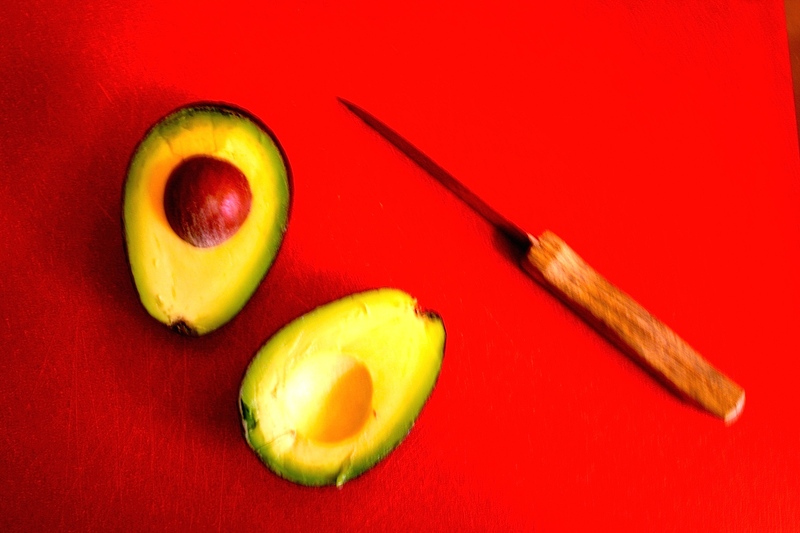 Pingback: Friday Link Pack 08/08/2014 | I make stories.